This article contains a guide on Earning Bond Points including a brief introduction and recommended areas. We will be updating this as we go along. This article contains an introduction to Earning Bond Points in Fate Grand Order [FGO]. It includes an introduction to the mechanic, and introduces some recommended farming areas for the current patch. 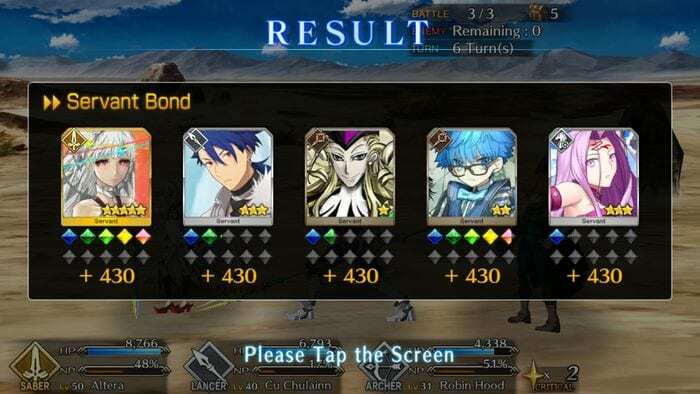 In Fate Grand Order (FGO), a Servant will earn Bond Points indicated by the number on the Servant Bond results screen. 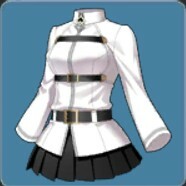 It functions as the “experience” for the servant’s Bond level. Bond Points accrued after battle remain constant across all party members. Contrary to Experience, Bond Points remain constant and even if a servant has fallen or remains as a sub member, he will still gain the same amount as his other active teammates. 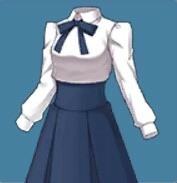 Each bond level corresponds to a certain color, for example whenever a servant reaches Bond level 1, the first diamond fills to the brim in a vibrant Azure color. The succeeding diamond eventually follows with another color, and so on. 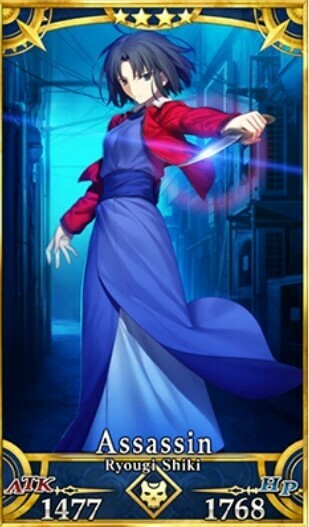 As your servant reaches higher Bond levels in conjunction with ascension, they will eventually be able to take on Interludes which immerse the Master on his Servant’s background. Click here to see a guide on Ascension. ※ Do note that after reaching Bond level 5, the points given after winning successive battles will appear nearly negligible. This is caused by the huge discrepancy between the bond points requirement from bond levels 1-5 which jumps when upon reaching Bond levels 6-10. Due to the absence of the Chicago nodes that appears in the Japanese version, the areas for farming Bond Points is severely limited. At first glance, the Daily Event Quests appear unfriendly to rookie players because of its costly 40 AP requirement. Even worse, the given max AP cap starts out small making it seem unlikely to effectively raise Bond Points. Luckily, players can earn past the AP cap whenever they finish the more difficult Daily Event Quests so long as they survive the 3/3 battles and level up their Master level. Click here to see a guide on Master leveling. Daily Event Quests appear in Chaldea Gate and grant rewards depending on the Quest taken. It includes 3 Daily Event Quests namely Ember Gathering, Monster Hunting, and Enter the Treasure Vault. The first two are less predictable because the enemy classes will vary depending on the day of the week. However, Ember Gathering has an edge over Monster Hunting due to having a 40 AP (Expert) Cost variant. When it comes to the The Daily Event Quest with the least amount of RNG influence, Enter the Treasure Vault comes to mind. Not only does it share the same Bond Points awarded, but also requires the same amount of AP spent as well. 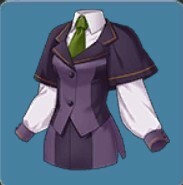 The appearance of only Caster class enemies makes Rider classes crucial when forming a sturdy party. 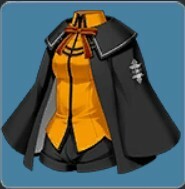 With minimal RNG, and a party consisting preferably of level 40 and up, this should reduce any chances of being wiped out. In case you have underleveled ones, you could opt to test with an Arts Cards team then invite a friend’s high level Jeanne d’Arc (Ruler) as support. 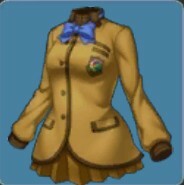 Although both of which has their own strengths, the former is more vulnerable to RNG, thus apart from adjusting the team composition, it is highly encouraged to follow the Recommended level requirement labeled on the Quest Name before starting. On the other hand, the latter follows a more rigid structure, with only Caster class servants. This means that Rider Class servants can thrive. If your sole concern is simply to obtain Bond Points, the latter entails less risks. 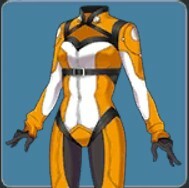 ※ Before you start, set the Formation for sub members as a contingency to mitigate the risks of a wipe out. Likewise, Free Quests can be done repeatedly each day for so long as you have the required AP to spend. 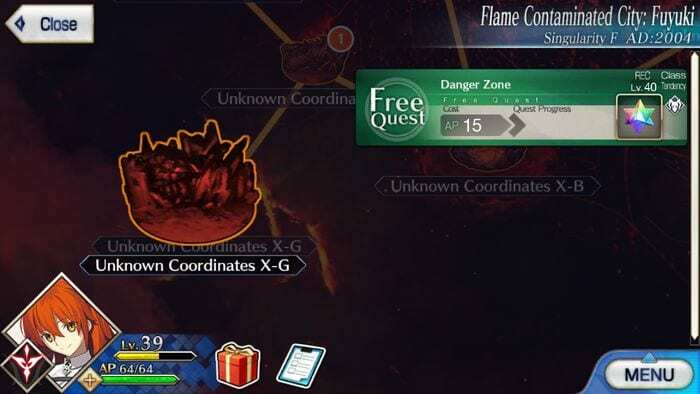 As of the current update, there are 2 selections to choose from when trying to earn the most Bond Points: Unconfirmed-Coordinate X-G, and Germania, the former appears by default – Fuyuki. Unfortunately, it requires finishing a difficult battle against a high level Berserker servant, Heracles to unlock a node that bestows 415 Bond Points. Whereas, the second node which appears at a later Chapter – Septem, is guarded by the atrocious Chimera. Whichever node you choose to farm for Bond Points, be sure to account for the Enemy Class Tendency on the upper left corner of the Confirm Party Formation Screen when deciding for your servants and support servant. 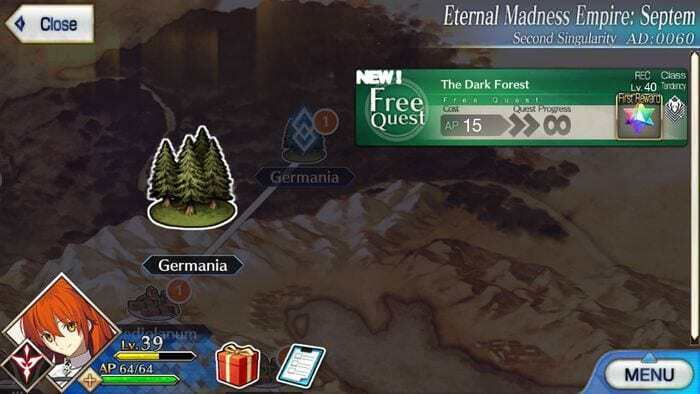 Weighing the two, if you manage to defeat Heracles, it gives you a ticket to an easier node in comparison to Germania’s. Click here to see the Free Quest for Unconfirmed-Coordinates X-G.
Click here to see the Free Quest for Germania.